The Fight for Immigration| Homeland Security Affair or Power Struggle? The great statue of liberty is a symbol of freedom, equality, opportunity and prosperity. She watches over the United States, a fictitious torch in her right arm illuminating the great land of opportunity. Imagine how many immigrants have stood in awe underneath the great behemoth and felt inspired to do something greater. Countless people have felt this inspiration and pursued the American dream. So, why is it now that we choose to close our doors to these immigrants, who at one time, shaped the America we are today. Has the prosperity dried up? Are there no more opportunities left? The fight for immigration reform has been waged in the political battlefield of Washington D.C. Soldier’s wear suits and use pens and words for ammunition against their opponents. The battle is heated and the stakes are high. On one side of the battle field, you have democrats and on the other side republicans. Comically enough, the battle has little to do with the issue. Many people, in both parties, believe that immigration reform is a necessary. Republican leaders, however, are dissatisfied with the President’s use of his executive powers to expedite the process of immigration reform. They strongly believe that he is pushing his powers and superseding congress. Time and time again, we see this bipartisan issue interfering with true progress. The Blick Law Firm is here to assist immigrants. We understand that there are families out there, who work hard and have been living in the United States for a long time. We want to help these families find the path to citizenship so that they can be legitimized. We believe that citizens are people who understand the American dream and act accordingly. America is the land of opportunity. We built our foundation on immigration; that is why we are known as a melting pot of cultures. Immigration is what makes us unique. Instead of closing our doors to it, we should reconnect with our past. If you are an immigrant or know of any immigrants seeki ng the road top legitimacy, please direct them to us. We work with immigrants closely to fulfill their best interests. Tampa, FL- Today, a father was arrested charged with murder for the death of his 5-year-old daughter. We remorse for the child and her family and pray that she will find her way safely to God. Children are one of our most precious gifts in life. Their value is priceless and their potential is limitless. Because of how our society has evolved, we sometimes have to put trust into the system that we are a part of and let our children navigate the world without our constant supervision. Unfortunately, this can mean trusting your child’s safety in the wrong hands or even wrong situation. Often times, parents, whose children have been hurt, blame themselves even if it was no fault of their own. No daycare, sports facility, team, volunteering site, school and even churches can guarantee the safety of your child. Although we cannot be there for our children 100% of the time, we can provide extra precautions to help them stay safe. Blick recommends the following steps to help keep your children safe and out of harms way. 1. Do your research- Do you know where your child is going. Do you know how credible the facility is that you are leaving them at? 4. Give them a phone- In today’s world, cell phones are as necessary for children as they are adults; Perhaps it’s time to upgrade that plan. Even if you do everything possible to keep your child safe, accidents are still likely. If your child gets hurt, there maybe repercussions to help you and your family get them back on their feet. Of course, children are minors so the laws are a bit different. To understand these differences we recommend you consult an attorney. Blick Law Firm are personal injury specialists. 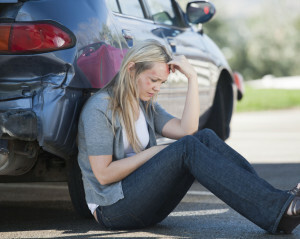 They can counsel you in your time of need and educate you on the process of filing a personal injury suit for a minor. To schedule your consultation call us 888-973-2776!